Stephanie was born on the island of St. Croix, U. S. Virgin Islands. As she grew up, she was an active member of the International Pony Club there and found she has a certain aptitude and natural link with horses, excelling in jumping classes and at shows. During that time, she was in inter-island international competitions on other Caribbean islands, as well as in the U.S. and in Canada. She was fortunate enough to represent the United States Virgin Islands at the Pan American Games held in Cuba. She also competed in the Central American Caribbean Games held in Mexico. One of her finest moments was competing in the Central American Caribbean Games in Puerto Rico, where she won the Silver Medal - Individual for Stadium Jumping, and the team won the Bronze! Stephanie rode for Marcus Fuschs in Switzerland at the time when he was rated third in the world. While in college at Rutgers University, she was on the Collegiate Team, as well as riding Internationally for the International Inter-collegiate Team. She has competed from Canada to Wellington for the past 20-plus years to great success. Her students have excelled at their shows and love the attention and care she provides to help them overcome challenges. From local to A-rated shows, her students have made great progress from putting the first halter on their first horse, to competing in Medal, Maclay Divisions as well as many levels of jumpers as well as hunters. Her son John is an up and coming successful rider and enjoys helping with the students and care for the horses. He is quite the competitor to look out for in the High Children's Jumpers and the Low Junior Jumpers! With a variety of contacts, Stephanie is able to put together winning teams. 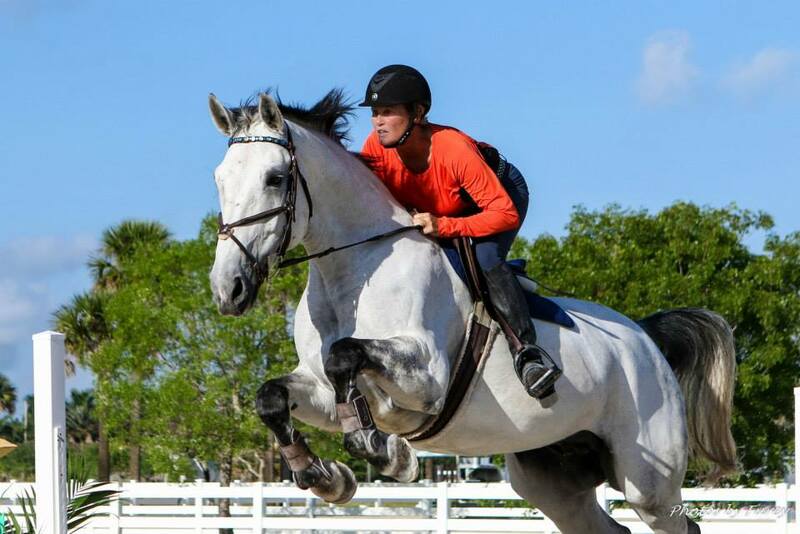 She enjoys looking for and finding just the right horse for her students and riders seeking their equestrian partner. Stephanie is a graduate of Rutgers University with a B.A. in Biology and Art.